Brian-Holloway Carpet One Floor & Home in Dothan, AL is here to make floor buying easier for you. You will only find quality flooring products and brands in our showroom. Our flooring professionals are trained in all aspects of carpet, so you can rest assured that we can help you start to finish with your project. Carpet is well known for its soft, stylish, and comfortable qualities and can make any space feel more inviting. In our showroom we use a unique system known as the Select-A-Floor system. By utilizing this system we can help to narrow down your carpet selection based on your lifestyle, personal style, and warranty level. Our carpet selection covers a wide range of options like being pet proof, or perfect for homeowners who entertain frequently. We are here to make your carpet buying experience a good one. Carpets are made to be durable and lived on, which is why they come in stain resistant options and are relatively easy to clean. Carpet is traditionally installed in bedrooms and living rooms. They can handle a lot more activity though and can be installed in children’s playrooms, on staircases, and in hallways. We offer carpets that are resistant to staining, wear, and fade. Those types of carpets can be installed in heavily trafficked areas like hallways and staircases. There are many different benefits that come along when you install carpet in your home. Our stain resistant carpets make life easier in your home, and help to eliminate the panic if you cannot get to a spill fast enough. Carpet is a great choice if there are family members in the home who suffer from allergies. Carpet does a great job at trapping dust and dirt on the surface so it does not reach the breathing-zone and can be easily vacuumed up. We also carry our own exclusive carpets that feature H2O™ technology that makes them entirely waterproof. At Brian-Holloway Carpet One Floor & Home, we are proud to be your neighborhood experts when it comes to carpet. As part of our selection of carpet brands, we have Carpet One Floor & Home exclusives such as Relax, it’s… Lees, Tigressá, Resista SoftStyle and Innovia Xtreme Clean. Before using any new cleaning products always make sure you check your manufacturer’s warranty before using new products. 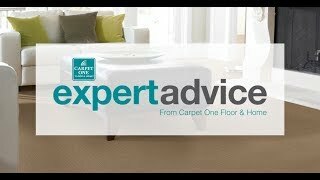 Follow the link below to learn about different carpet care tips.